Welcome to the first post of Featured Blogger, hosted by me! Today I have the pleasure of introducing my first "victim", Aditi @ Book Stop Corner. I got a kick out of reading her answers to all the questions I posted because she's absolutely humorous and sweet! Along with the questions that were posted, I decided to throw in my own mix and mash of questions that were sure to get her thinking caps on! 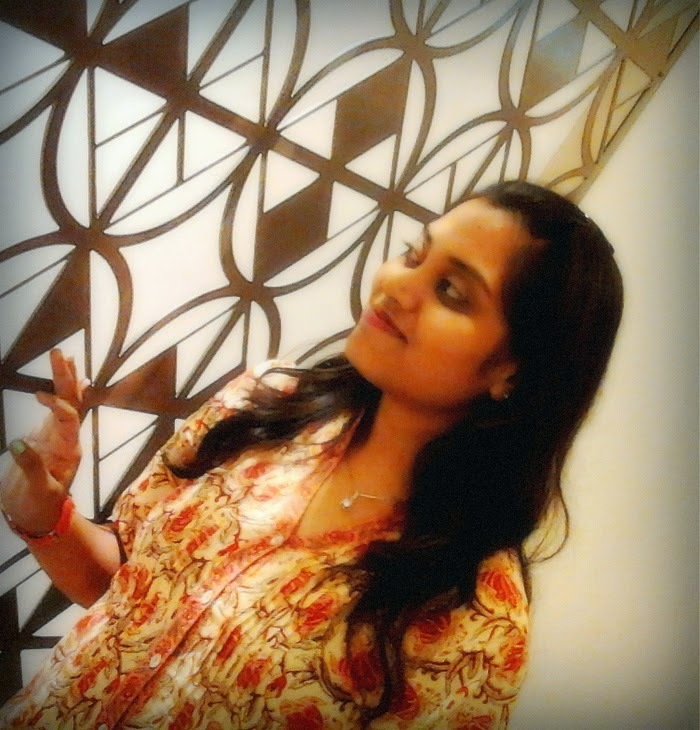 Without further ado.. meet Aditi and check out her blog by clicking the banner down below! 2. What makes your blog unique? Author Interviews and my intricate style of reviewing! 3. What does your blog specialize in? 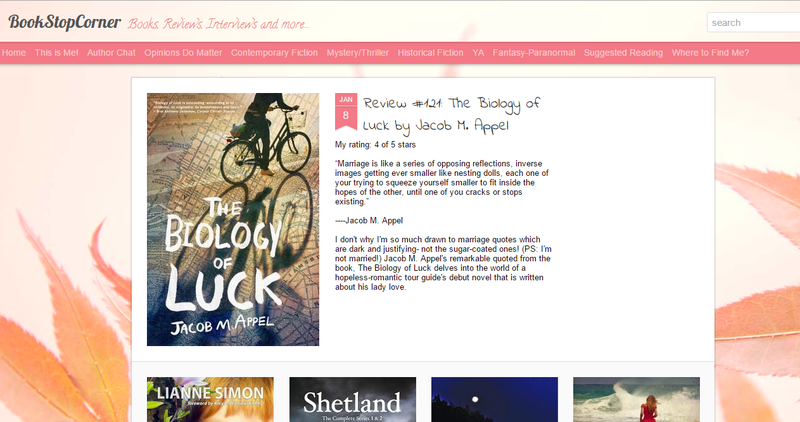 Book Reviews, Author Interviews, Random Blog posts like Top Ten lists and stuff like that. And giveaways! 4. Let the readers know more about you! I'm a reader.. end of story!.. I read as much as possible and review as much as I like. Well apart from my IT job, I'm an online shopaholic, animal-lover, in-love with the weekends, and sucker for all kinds of stupid TV series.. In short, living my life as much as possible. 5. How often do you post? More than twice a week. 6. If you were to shop one of these couples, who would you ship? 7. Book Stop Corner. Is there a deeper meaning behind your blog name, or is it something that you came up with in a matter of seconds? Book Stop Corner: To be honest, I came up with the name with in a matter of seconds and yeah, I was thinking of something quirky, but then again, I needed to stand out in this vast ocean of book blogs, so came up with something that's unique and has a meaning. The meaning would be similar to a bus stop. People come to bus stop to catch a bus to their requisite/next destination, similarly, readers/bloggers will come to my book stop to get an idea about what to read next, hence I'm only limited to reviews and author interviews, since my blog is specifically a book recommendation blog where people will get an idea for their next book by reading/judging the reviews/interviews. 8. You get a kick out of working with some amazing authors. In a situation where you don't like a book that an author has kindly asked you to review, what do you do exactly? Well that's a nice question and do I really have to answer that, I my secret will be out in the world, but here's the trick what I do, I politely, say them that my TBR (to-be read) shelf is over-flowing and I so want to read their books, but can't even find a tiny spot for that, so I say sorry and that's all. Actually, that's not the real story, I'm a very fast reader, I can read 300pages book within few hours, and if I like the author's book, I agree to review it immediately, otherwise, I say that my shelf is overflowing. 9. From my book of best Bookish couples, you picked Katniss and Peeta. What is the best characteristic about their relationship? What makes them different from other bookish couples? Katniss and Peeta- I call them "no-fuss" couples, yes they both are equally strong, but I'm always attracted to those couples where the female counterpart is much more stronger and powerful than her male counterpart. Whereas almost all other bookish couples will be like the guy is stronger than the girl, or sometimes, the guy is always there to save his fragile girlfriend(Edward and Bella- I absolutely hate them). But I know many people while reading this answer will judge me as a feminist, well that's not the case, I like out-of-the-box stuff!! Katniss and Peeta are attracted to each other in a strange way (not sexual) but because of their same unfortunate fate, their pain, misery and the pressure is what makes them pull towards each other. Moreover, they both have respect for each other above everything- love and power. Their love story is one hell of a painful and hard one and that what makes them stand out in the crowd. 10. I hear you like bookmarks, and I agree, I hate when people dog-ear the pages. Yes, absolutely. I love bookmarks and I hate dog-earing of book pages. So my whole house is flooding with bookmarks, so I've decided to organize them all in a stack and keep them inside a box instead ofletting them lying here and there in the house. And I guess receiving endless bookmarks is one of the perks of being a reviewer, and I hope you too will agree to that! 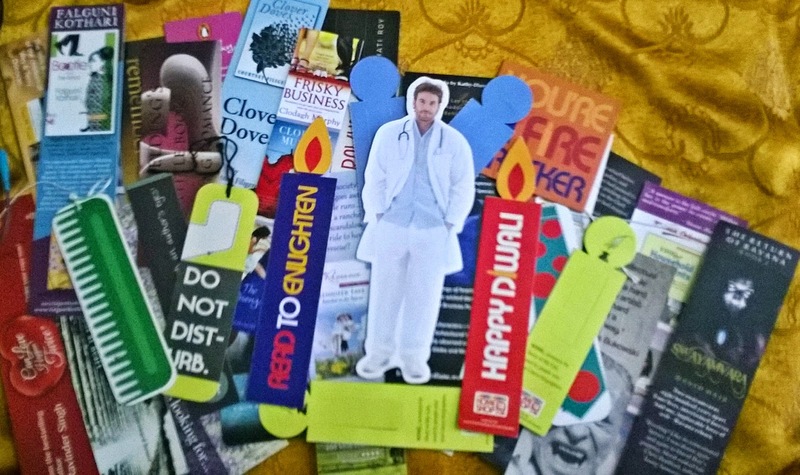 Ok, so Aditi was so fantastic she even decided to share a picture of her bookmark collection. You know about my obsession with bookmarks, and OMG guys she made me so jealous!! I'm a reader..end of story! !..Well my real job is that I'm a Software Techie. In between my 9-6 job, I try to read as much as possible and try to review as much as I like. All credit goes to Goodreads for turning my passion for books into an obsession. "It makes one understand life better, be philosophical about it. Take the ups and downs of life more easily because if you are reading good books—I am talking about fiction—you learn so much about human nature and the difficulties that people might encounter. It helps you to be more sensitive to others." Thank You dear! That's beautiful, I was busy with work, so didn't get a chance to look at this post! It's epic! Gosh! I feel so honored now! Thank You, even my saying won't be enough! Lots of hugs and kisses to you from India! Haha and all the best with your blog as well!